Four generations of Japanese American women make their home in a large house in San Francisco, united by the obligations of family and tradition and, perhaps, by love. 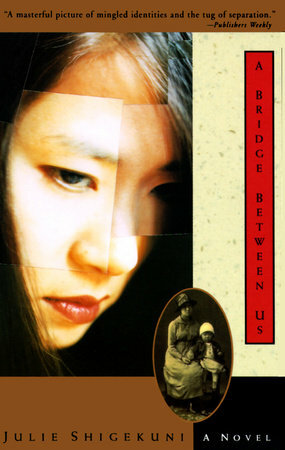 In alternating chapters, the four women--Reiko, Rio, Tomoe, and Nomi Hito--speak with unflinching honesty about their lives, the secrets that have separated mother and daughter, and the fierce ties of intimacy that form an inextricable bridge between them.With the touch and power of a master storyteller, Julie Shigekuni gracefully interweaves four distinctive voices to shape a moving story of love and the courage it requires. In baring the heart of one family, she illuminates the truths about families, real and imagined, we all create.